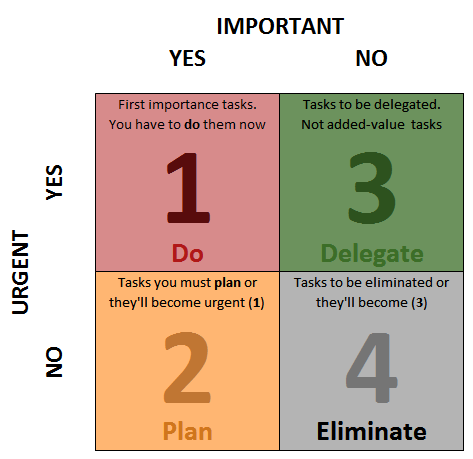 Are You Confusing Tasks With Goals? Last week I wrote out my goals for the week and I thought it looked like a decent summary of the things I needed to work on. Some of the items were very specific. Writing an autoresponder email for one of my niche sites. Ok, that’s cool. Then I see “Identify three mentors.” Hmmm, how the hell is that a one step process? Then, I look over the rest of my list and I see several of the ten things I write out every week that are not tasks. They are goals. Now, don’t get me wrong. Goals are fine and a great idea if you want to have some semblance of productivity. They help you see on paper where you’re going with your business. They only become a problem when you are using them as tasks. Goals should be broken into tasks and those things should go on your weekly list. Do you follow me? I think I’ve had a huge ah-ha moment here! I’ve had many weeks where I don’t finish the items on my list so they carry over to the next week. Unfortunately, every time I look at them I have to stop and think “Where do I start with THAT?” That’s the first sign I’ve listed a goal in place of a task. If you are mapping out a longer time frame like a year, goals are great. Same with a month. As long as you are breaking it down to a weekly list of TASKS that you can accomplish to move you toward your goals, you’re golden. But anytime (and I do mean ANYtime) you consult your weekly list and find yourself staring at a multi-step item, you my friend, are looking at a goal that somehow slipped into your task list. Circle it and make sure to at some point go back to it and break it down into tasks. Then you can dole those out for your weekly list. Stop what you are doing right now and look at your weekly or daily “task” list. Do you have anything on there that is more than one action you can complete in a short amount of time? Remember, just because it doesn’t read “Change the world” doesn’t mean it’s really a task. Let’s take my autoresponder email example from earlier as an example. Have you already determined the content of the email? In my case, I have because it was on an earlier list that I finally decided what it was going to contain. Ok, good. However, how about a more primary step like “Free write 500 words about needing help from your subscribers”? At least now I have a TASK I can do to complete and move on. Reviewing and editing will be another step. Maybe even two steps depending on how much of a mess it is-LOL! Do they support goals you have? Are they specific things you can do right now without having to figure them out? If they pass both of these tests, then you may have to take a look at the goals they support and ask yourself if those are really important to you or if they help you grow your business. You’ll find some of these for sure. However, I’m willing to bet most carryover tasks will fail one of the two tests. If so, you have two choices: define them or eliminate them. That choice is yours alone. I’d love to hear from you. I really want to help you get clear on what you’re trying to do and eliminate distractions from doing it. Please leave me a comment below and let me know the breakthrough you’ve made because you scrutinized your task list. Make us all feel better about making mistakes and fixing them without attaching guilt to it. If it makes you more successful, there are no failures. Five Minutes To A Clearer, More Focused Mind! Just enter your email address below to receive your free Five Minute Mental Tune Up audio. It will help you to dump your negative thoughts while building up your positive ones. You'll also receive blog updates when they are published so you never miss an article that may change your life. I hate spam! I'll never share, sell or rent your email to anybody EVER! « Are You Practicing Just In Time Learning? Hey Jeff, goals do not equal tasks. You hit it right on the nail. I have a list of goals, but forget to write down the CRITICAL TASKS to make it possible. Priority is number one, and as much as good planning your goals are, completing them is the top priority. I’d seen that matrix under somebody else’s program not too long ago. I love it’s simplicity but it can still leave people a tad confused. I think the toughest part of that is defining what the criteria are for each quadrant. I think that’s hard because they can change depending on the project and task. Still, it’s a good tool to get you thinking about those things don’t you think? I’d recommend picking just one major goal for the remainder of this week, list out the tasks that support it and take the time you have left seeing how many of them you can accomplish. I believe spending the time in the trenches doing the work gives you a better understanding of what’s involved the next time you’re setting up a goal. I think it can actually become second nature after a while. For instance, I see a blog post I want to write. Is the topic clear? Does it involve research? Do I need graphics? Will it be a tickler type article or a full-blown essay? The more questions I ask about the project, the clearer I get on what’s involved and the easier it will be the next time to map it out. This keeps me from just seeing “write a blog post for SWF” and then spend the next two weeks trying to figure out why I haven’t done it yet.LOL!